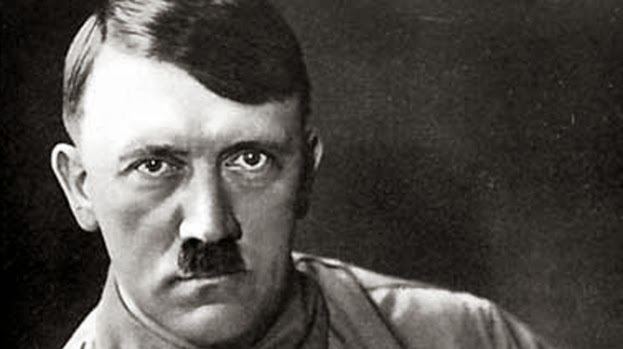 In case you do not know, let this be known again that Hitler did not kill in millions only the Jews in Germany, Poland and other places. But non-Jews, including not agreeing with him in Germany, non-Jews in Poland and other places in Europe, Serbia, Roma Gypsies, Jews of mixed descent; so-called "Jew-friends", gentiles who stood up for the rescue of Jews; communists, anti-fascists and other resistance fighters; rebellious juveniles, "anti-social individuals", criminals, homosexuals; the physically and mentally handicapped, forced labourers and prisoners of war, Russians, Ukrainians. Records kept by the Germans prove they exterminated millions of Communists, Czechs, Greeks, Gypsies, homosexuals, Jehovah's Witnesses, mentally and physically handicapped, Poles, resistance fighters, Russians, Serbs, Socialists, Spanish Republicans, trade unionists, Ukrainians, Yugoslavians, prisoners of war of many nations, and still others whose identity may never be recognized. (1) Their victims, according to one survivor of four different concentration camps, "were of some thirty nationalities, from Nepalese to Andorrans, and of a variety of racial and linguistic stocks ranging from Basques to Buriats and from Ladinos to Lapps". In September 1939 Hitler authorised a "euthanasia" program to rid Germany of all those people classified as "unworthy to live". This classification initially covered disabled children, but was ultimately extended to Jews and non-Jews who were "cripples", alcoholics, epileptics, pyschopaths, "vagabonds" and sufferers of tuberculosis and cancer. As early as 1933 a "Law for the Avoidance of Genetically Diseased Offspring" had led to the sterilisation of some 360 000 German people, but the 1939 euthanasia program was an actual mandate for murder. The program was named T-4, after the address of its headquarters at Tiergarten 4, Berlin. It was authorised by Hitler on his private letterhead, signed in at the end of October 1939 but predated to September 1 to make it appear a 'wartime measure'. The first victims of the T-4 program were babies and children suffering from Down Syndrome, hydrocephalus and various physical deformities. 5000 of them were murdered in cold blood by German doctors, many of whom went on to run the killing centres at death camps. The network of euthanasia spanned doctors' surgeries, hospitals, special schools, asylums, health departments, registry offices, universities, research centres and private homes. By 1940 six killing centres stood in readiness, all within Germany and Austria: Grafenak, Brandenburg, Bernburg, Hartheim, Sonnenstein and Hadamar. In these six institutions between 1940 and August 1941, it is documented that 70 273 people were killed. The relatives of victims received officially-forged death certificates, together with letters of 'condolence' and queries regarding instructions for disposal of their ashes. 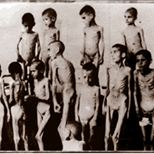 According to an estimate nearly 6 million (60 lakhs) lost their lives under Nazi persecution during 1938-1945.